Wood Post Poly Tape Clip Insulator. 20pk. 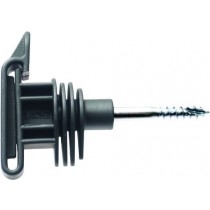 Heavy duty wood post clip insulator for 12mm, 20mm and 40mm poly tape.